Let me begin by saying that we need a new framework for a new era. The dichotomy between vernacular languages and the national language is an outmoded one. The old thinking presupposes that each of us can only master a language and not more than one. And hence the politics of which language should be taught at school. But the reality is that Malaysia is sitting on a “language gold mine”, just like Switzerland, Spain, Finland and Belgium, where everyone speaks at least two languages fluently. Some of us, let’s say a Chinese Malaysian from Kuala Lumpur, who has travelled overseas would have an experience of speaking near-perfect Mandarin with Chinese from Beijing, impeccable Cantonese to someone from Hong Kong, and some form of Bahasa to Indonesian friends. The world is amazed with us Malaysians, yet we are not treating the diversity of languages that we have as our national asset. We are still caught in the thinking of the 1920s and the debate of the 1960s. Before I talk about 1920s and 1960s, let me digress a little to reminisce some more recent history. In 2002, when Tun Dr. Mahathir Mohamad was thinking about retirement and his legacies, he thought of reviving English medium schools, which he closed down in the 1970s as Education Minister. But the resistance from among UMNO ranks was too strong. So, typical of Mahathir, he came up with a quick fix – let’s teach mathematics and science in English. PPSMI, as its Malay acronym is known, was introduced hastily against the wishes of many. Some were against it from the point of view of language vanguards. Some said no because there were just not enough good mathematics and science teachers, even fewer who can teach the subjects in English. And, frankly, there is not much language content in mathematics and science. What should have happened is to give more weight to English lessons at all schools. Dr. Mahathir had no time for that. He was indeed a man in a hurry, all the time. The issue of lack of teachers who were proficient to teach mathematics and science in English, especially in the rural areas, was brought up at the UMNO general assembly of June 2002. Dr. Mahathir reassured the UMNO delegates that the subjects would be taught through sophisticated electronic material. The teachers, said Dr. Mahathir, can learn English together with the students through the use of PowerPoint and other softwares. RM5 billion was allocated to push for this policy over five years. The government spent RM3 billion on LCD projectors and laptop computers in the first year. As they say, the rest is history. Likewise, when the then Prime Minister said Sekolah Agama Rakyat were bad, these schools immediately felt the brunt of the whole government machinery crushing them. My point here is that in the last 55 years, power has concentrated in the hands of one party initially and in one person later. However ridiculous the policy was, it was bulldozed through. Other BN party leaders in the government were just bystanders in the policy process, at best trying to tweak the outcome from the margin, such as the 243 formula. So, lesson one, absolute power in the hands of a one-party state is not good for education. I was in Surabaya in last December. My visit to JavaTV was extremely educational. The producer proudly announced that democratization in Indonesia since 1998 came with media freedom, which in turn allowed media like his to flourish outside Jakarta while decentralization since 2001 enabled the economies of cities outside Jakarta like Surabaya to boom. And more interestingly, the combined effect of democratization and decentralization was that his TV station became the promoter of Bahasa Suroboyo. No more language police to insist on just one language. I would imagine when democratization finally takes place in Malaysia, there will be a Kelantan TV promoting Bahasa Kelate or a Sarawak TV promoting Iban language. Therefore, lesson two, even Indonesia, the source of UMNO’s mono-lingual nationalism, has moved on. Sadly, we are still caught in the debate of the 1960s. A week ago on 11th February, Education Minister Tan Sri Muhyiddin Yassin said in Ipoh that the national education system is undergoing a comprehensive review. He said the education system has not been subjected to such review since the Razak and Rahman Talib reports on the system. As an MP, I am surprised to hear such a review being conducted in secret. But then again that’s BN for you. Anyhow I agreed with Tan Sri Muhyiddin that the education system has not been reviewed for a long time. Mind you, Tun Razak passed away in 1976 before I was even born and the Razak report was released 55 years ago in 1957 while the Rahman Talib report was released 52 years ago in 1960. In the 1960s, Malaysia was in the middle of the most volatile region in the fight between the West and the Communist bloc. The government, the United States and the Western bloc saw the Chinese language as the language of infiltration. But that was so long ago. There is no more Moa Zedong, no more Berlin Wall, no more Soviet Union. Even if we do not consider the cultural value of being multilingual, it is an economic imperative for Malaysia to be multilingual. Today, the declining US and European economies means Malaysia’s immediate economic future lies in our ability to connect with China, India and Indonesia, among others. Isn’t it that our language diversity an asset? Aren’t we sitting in a language gold mine? Let’s be clear, lesson three, and I have to state the obvious, 2012 is not 1960. We need a new paradigm. Lip service of recognizing the contributions of Chinese and Tamil schools are not the way forward. More money to the schools in an “I help you, you help me” form is not going help Malaysia to unleash our full potential. It is time for us to recognize that each of us can master more than one language; that we must not plan education by one man or one party’s wish, that we must move beyond the 1928 Sumpah Pemuda of Indonesia because they have moved on; and that 2012 is a different world from 1960s. Bahasa Malaysia is and will always be our national language. And we are proud if it. Yet we should face the reality, and do our best to realize our full potential. At least think of our children, and our children’s children. 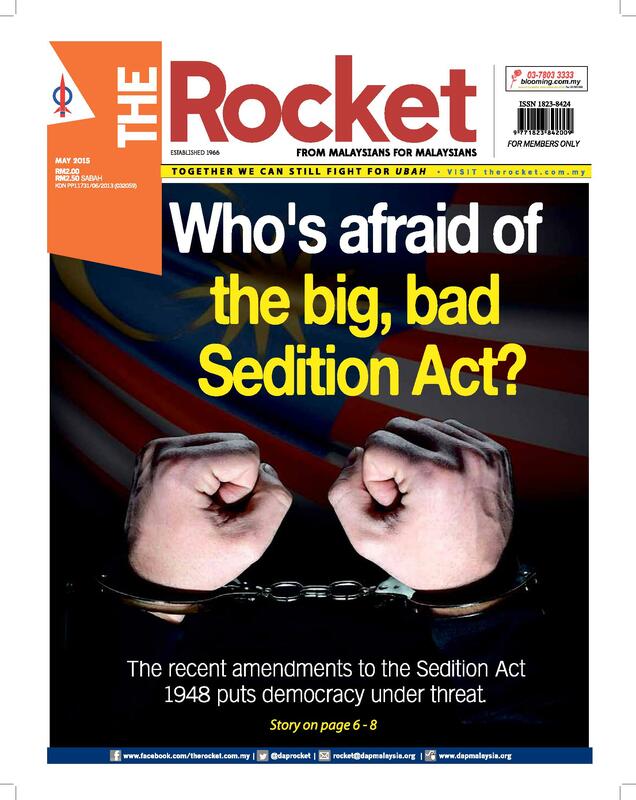 The writer is DAP MP for Bukit Bendera. 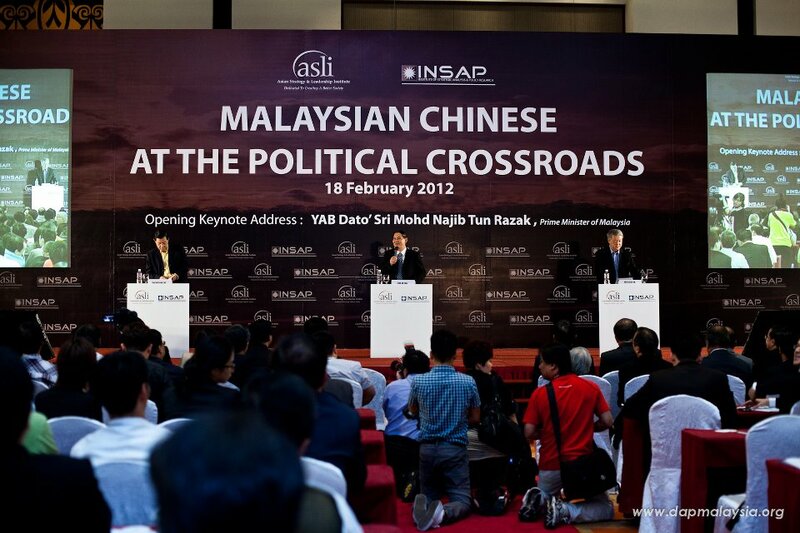 This is his speech delivered at the Malaysian Chinese at the Political Crossroads conference in Kuala Lumpur yesterday. This article was written by admin on Sunday, February 19, 2012 at 4:04 pm. You can follow any responses to this entry through the RSS feed. You can leave a response, or trackback from your own site.